It is with pleasure that Monarch Business School Switzerland highlights the latest book by Dr. Justin Kennedy. The book is titled, “Brain Reboot” and deals with creating happiness, performing better and being healthier. 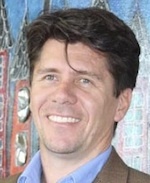 Dr. Kennedy is a Professor of Organizational Behavior. He holds a Doctor of Professional Studies with Monarch Business School Switzerland as well as a Bachelor of Social Science in Psychology from Rhodes University, SA. He is also a member of the Psychological Society of South Africa. This is an adventure of a book. It explains how to reboot your brain, be happier, healthier and perform better in your work and personal life. The author, Dr. Justin J. Kennedy, is a professor who started a career as a neuroscientist after being in a coma. 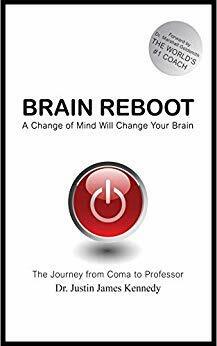 In this book he shares his incredible story on how to reboot your brain. The book is full of stories from his coaching work with executive clients. Inside, find useful tips that you can easily apply into your daily life. Marshall Goldsmith – the world’s #1 coach says: “When I met Justin, he shared the biggest change in recovering from a coma was not learning to walk and talk again but feeling happy. His journey is remarkable. This book shares his experience and insights in how the brain is triggered and what you can do to become the person you want to be at work and in life. His journey is your gain as he shares the neuro-anatomy of what is possible to be the best version of yourself.” In this book you’ll learn that your brain has only one emotional trigger, and how your feelings follow.